The overall temperature of the first half of 2017 was 1.6 degrees higher than the previous average. Photo credit: shutterstock.com. Although our planet has somewhat cooled since the super El Nino year of 2016, conditions are still quite warm. In fact, the National Oceanic and Atmospheric Administration (NOAA) rated the first half of 2017 as the second hottest year on record since the year 1880, when record-keeping first started. The record of 2017 is trailing behind only 2016. Furthermore, June of the current year is the third warmest June on record. 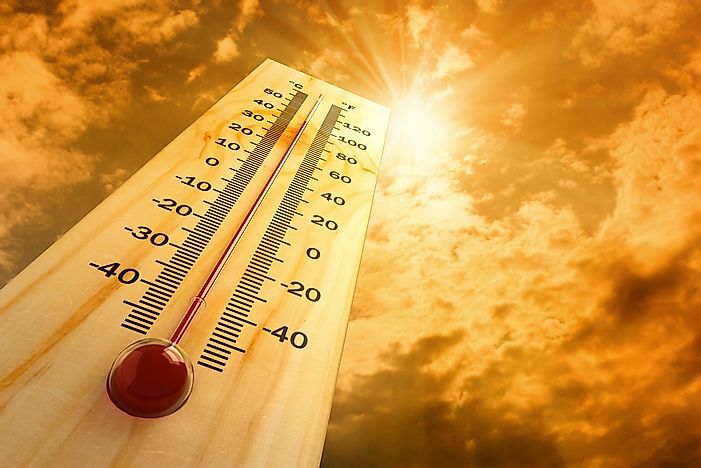 Usually, El Niños are responsible for sudden temperature spikes. During El Niño events, a rise in ocean temperatures triggers the dispersal of heat into the atmosphere, raising the atmospheric temperatures. However, Ahira Sanchez-Lugo, a climate scientist at NOAA, finds it remarkable that 2017, a year without an El Niño event so far, manages to beat all other El Niño years on record with the exception of 2016. This definitely implies that our world’s climate is evolving into an ever warming one. Record high temperatures were also noted in many parts of the world in the first half of 2017 including eastern Russia, eastern China, eastern Africa, western Europe, and large parts of Mexico. The US also experienced its second warmest start of the year in 2017. NOAA announced that the average temperature of the planet was 14.4 degrees Celsius from January to June 2017. This value represents a 1.6 degrees rise over the previous average temperature of the 20th century. Data from the NOAA shows that our planet’s five warmest first-half’s of a year have all occurred since 2010. As greenhouse gas levels in the atmosphere have reached record highs due to human activity, global temperatures have also risen significantly in recent years.